All schools should have a whole-school policy for the effective use of information technology across all subjects. 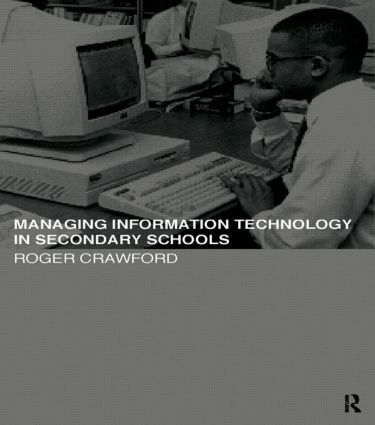 This book, aimed principally at secondary schools, is designed to help schools devise and implement an IT policy. Chapters cover: management of the IT curriculum assessment, recording and reporting organisation of hardware and software resources security, health and safety issues the impact of various models of the IT curriculum new GCSE IT syllabuses use of the Internet With details of training activities that are suitable for INSET, and for use in teacher training, this book will heighten awareness of IT issues. It will be useful to all those involved in the management and use of IT in secondary schools, particularly IT coordinators, student teachers and advisers. It will also help governors and senior managers who are concerned that the organization of IT should be effective and efficient.